Consider adorning yourself with Emeralds to convey a classic aesthetic through your jewellery choices. Traditionally worn by royal families across the world, this majestic gem has the ability to emulate a sense of opulence through its deep green hues. When seeking the perfect Emerald, look out for stones that offer vibrant, clear colour and clarity. 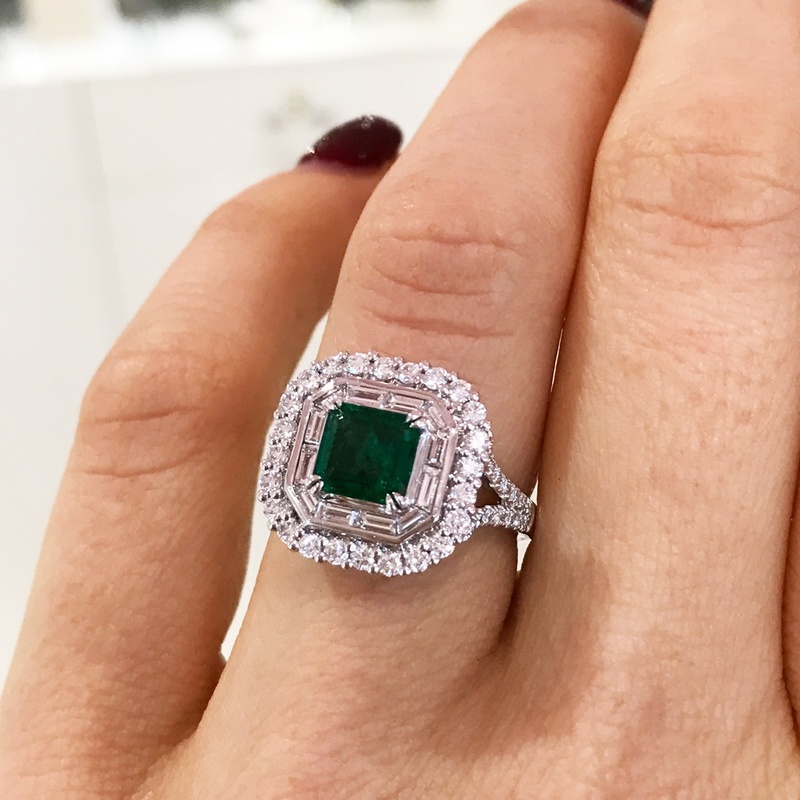 We adore our Emerald and Diamond Dress Ring which radiates beauty and warmth through it’s deep green 2.40 carat Emerald and is surrounded by divine fine White Baguette Diamonds to deliver a truly breathtaking aesthetic. If you’re looking for something slightly more subtle, Aquamarine is a magnificent gem to consider. This stone is perfect for those with a love for the ocean and exudes a sense of tranquillity with its light blue colour. Ideal for the summer months, Aquamarine captures the light in the most spectacular way and emulates a light-hearted sense of joy. 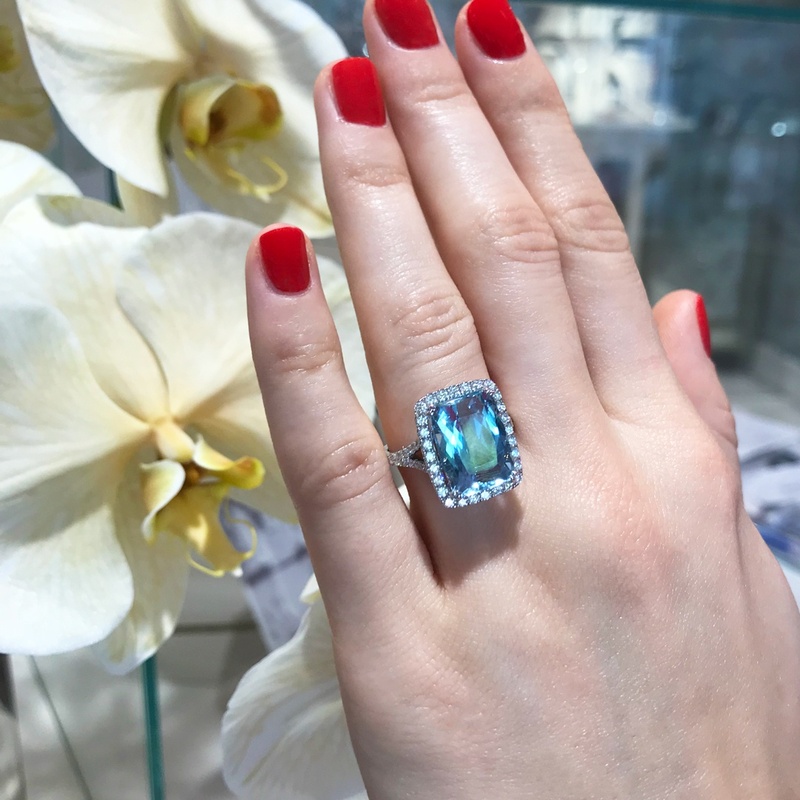 Our Aquamarine and Diamond Halo Ring features a spectacular 6.50 carat Aquamarine to achieve enchanting opulence. The divine hue of this gem is surrounded by Brilliant Cut White Diamonds for additional sparkle. 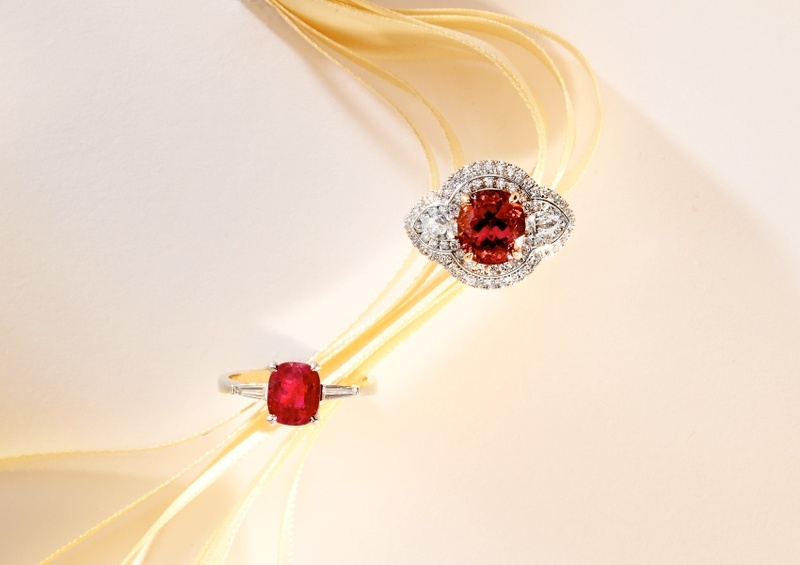 If you desire a classic holiday look, Rubies are an unparalleled choice. A Ruby ring has the ability to transform any outfit, it’s elegant with a theatrical twist and the deep red hue never goes out of style. For those looking to combine contemporary influences with a traditional Ruby piece, our Ruby and Diamond Dress Ring is an exceptional option. 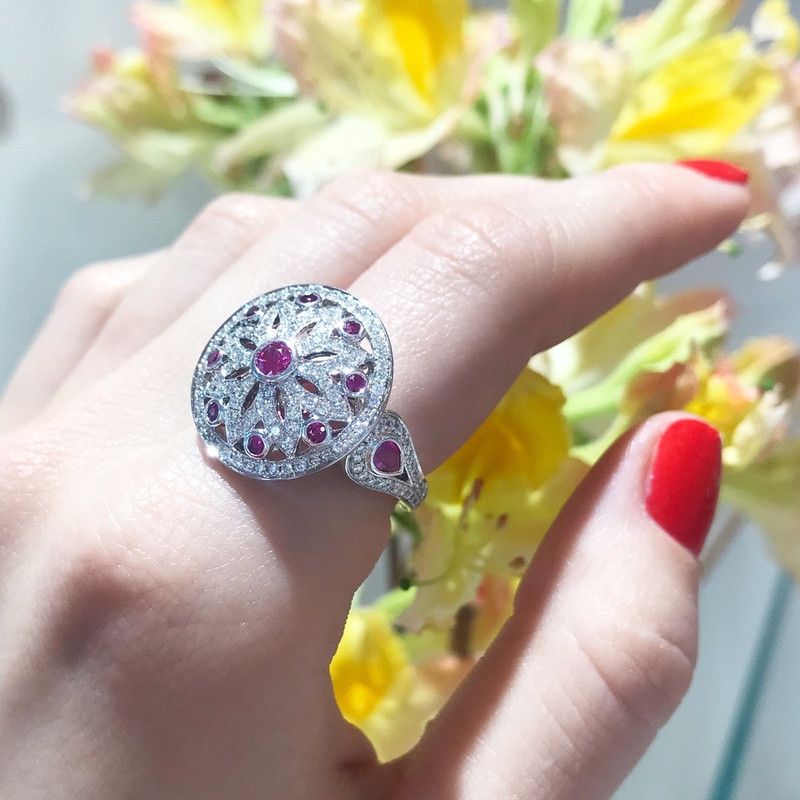 Featuring 0.75 carats of Rubies set within a stunning geometric design of Round Brilliant Cut Diamonds, this piece is truly one of a kind. Elegant and eye-catching, this ring has the ability to accentuate your holiday outfits in the most splendid manner. To start your journey towards finding the perfect gem for a handcrafted piece this holiday season, contact the boutique today to arrange a consultation with one of our jewellery experts.